Teeth There are 7 products. Teeth whitening water. Removes patches of tea, coffee, plaque. 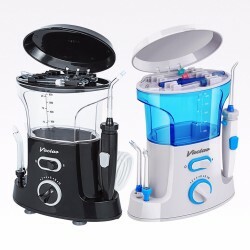 It improves oral hygiene, reduces oral diseases. Capacity: 10 ml. 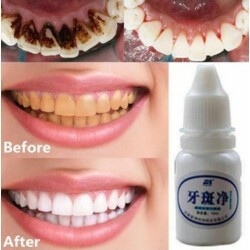 Teeth whitener & stain remover. Battery powered rotating eraser. Battery not included. Teeth whitening, gel strips. Long size: 7.5 * 1.5cm. Short size: 5.5 * 1.3cm. Net weight: 30g. Quantity: 28pcs. Professional teeth whitening strips. 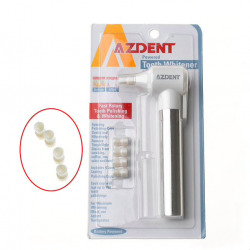 Fits to the shape of your teeth Extrinsic tooth discoloration Easy to use and good results Quantity: 14 pouches/28 strips. Net weight: 51.6g.